I am a user of Bricklink.com, in fact it was a few days ago I recieved my most recent purchase from a store owner. I don’t remember how I found Bricklink, most likely through a forum, I was glad I did. I haven’t wasted money on eBay since. Being able to compare prices from various independent sellers is a great way to shop for those little must have parts. Today there was an “Important Announcement” noted at the top of the page. I clicked the link and found out that Daniel Jezek died. I had heard of him and that he was the founder of Bricklink, but really didn’t know much about him. 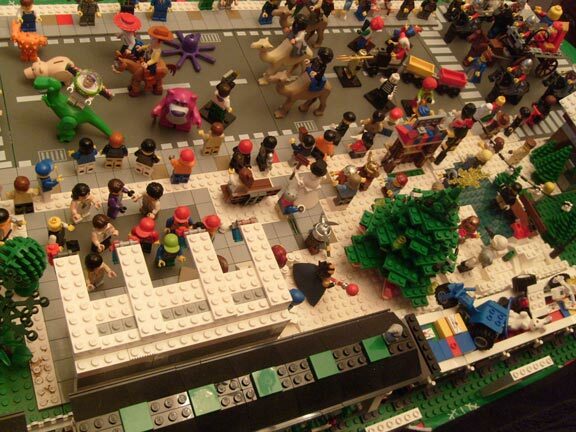 But he’s helped many fans of the little plastic bricks make dreams come true. I thank him for his creation of Bricklink. A pioneer in web based business, in my opinion, that made getting those parts needed to finish the perfect build much easier. To read the announcement from his family, please go here. I Have How Many Sets To Build??? One of the most common questions is how do I make Genuine Draft. With LEGO® Brand Bricks is a common answer, but really it’s a bit more technicle than that. This is the basic of how I create Genuine Draft. For starters I use Macs running Adobe Creative Suite 2, a Wacom Graphire 4 tablet, and a Samsung Digital point and shoot camera. I also use the cheapest spiral notebooks I can find, Wal-Mart durring back to school season is a great place to get many supplies.